Ten years after the release of one of the most-loved movie, Kabhi Khushi Kabhie Gham Director Karan Johar officially announces there won’t any sequel 2 this blockbuster. This could be heartbreak for thousands of fans who were eagerly waiting for it, particularly to see the duo, Kareena Kapoor and Hrithik Roshan after so many years again! 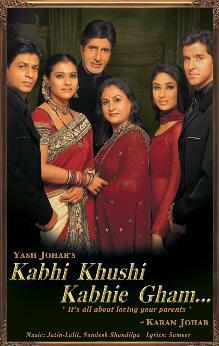 The film had created a magic on-screen with the 6 big superstars together – Amitabh Bachchan, Jaya Bachchan, Shahrukh Khan, Kajol, Hrithik Roshan and Kareena Kapoor. 17 queries in 0.750 seconds.